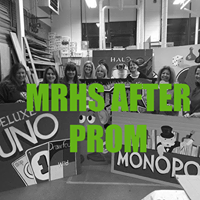 A Drug and Alcohol Free Event - "Keeping our Teenagers Safe on Prom Night for over 30 Years"
A GREAT WAY TO HELP OUT EVEN IF YOU ONLY HAVE AN HOUR! NO EXPERIENCE NECESSARY!!!! ALL WELCOME!! !